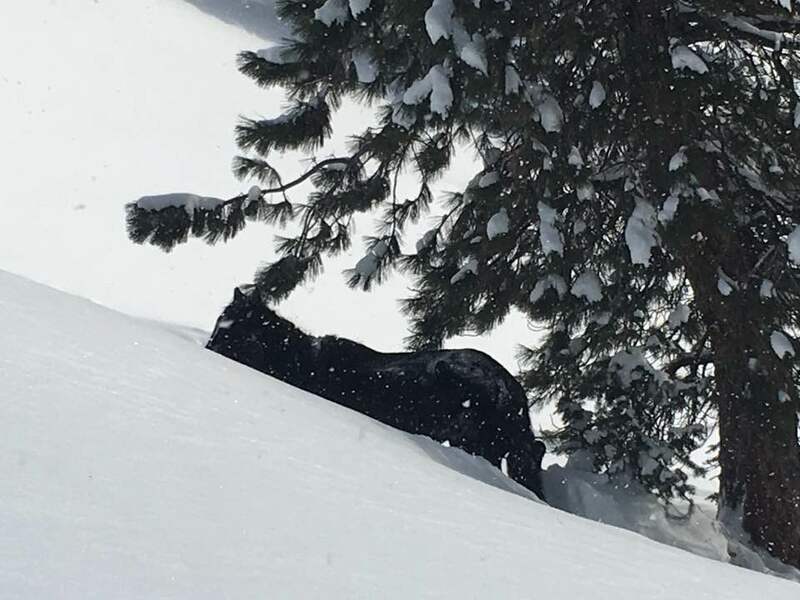 White Wolf : Epic Rescue of a Horse Trapped on a Mountain at 7,600 Feet! Epic Rescue of a Horse Trapped on a Mountain at 7,600 Feet! 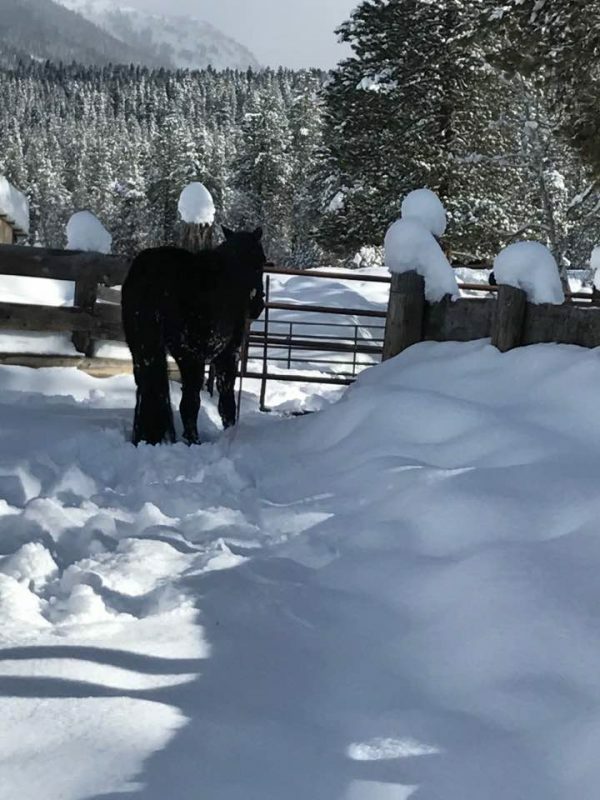 While enjoying the backcountry winter playground of Boulder Mountain, Idaho, Chuck Whitesell, Ryan Miller, and a few other friends saw a horse that was trapped on the mountainside. The backcountry is great if you have a snowmobile, but this horse was unprepared for the harsh winter conditions and found himself stuck in deep snow. The friends immediately turned around to fetch supplies and orchestrate a rescue. 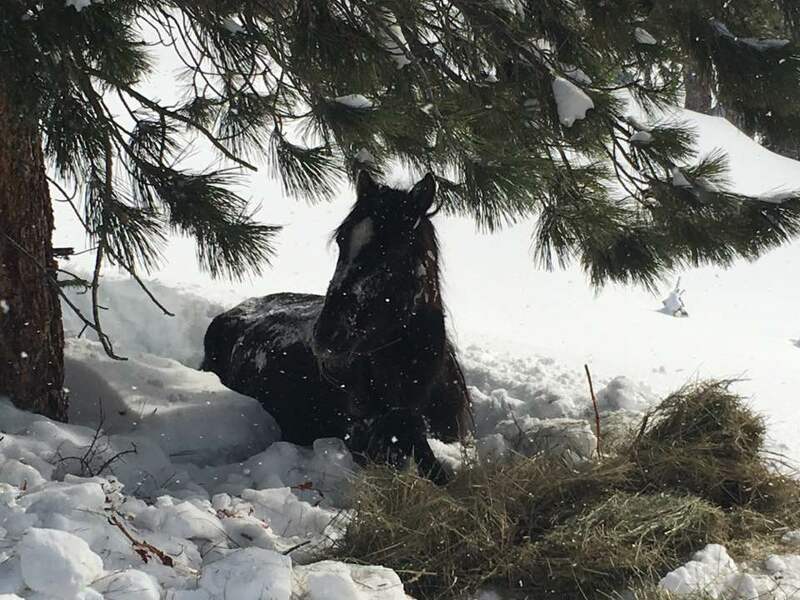 The group of rescuers returned to the horse with hay and water. 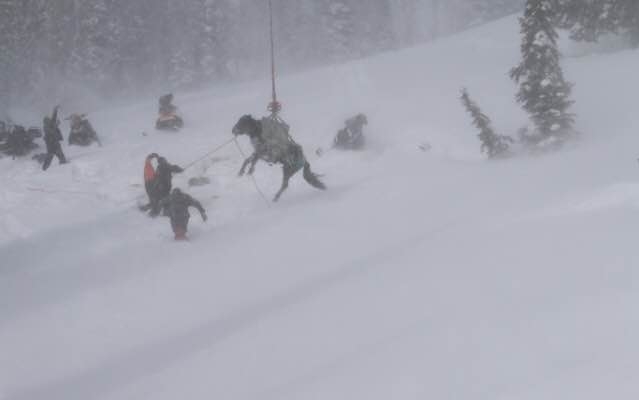 They also began to organize an epic helicopter rescue to pull the poor guy out of the neck-deep snow. 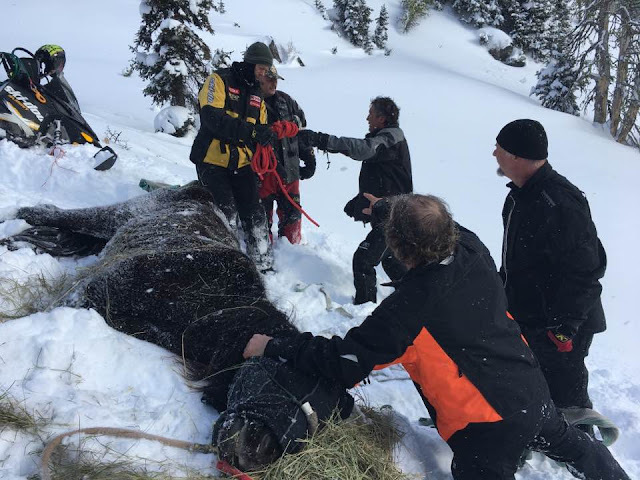 The amateur rescuers hooked up with Skidoo and secured several snowmobiles and a helicopter to get this horse to safety. They sedated the horse and gently put him into a harness. Then, they airlifted him out of the backcountry! The horse was perfectly fine after what we can only assume was a very stressful ride. As for our heroes, they are currently trying to find the horse’s guardian to let them know that he is all right. 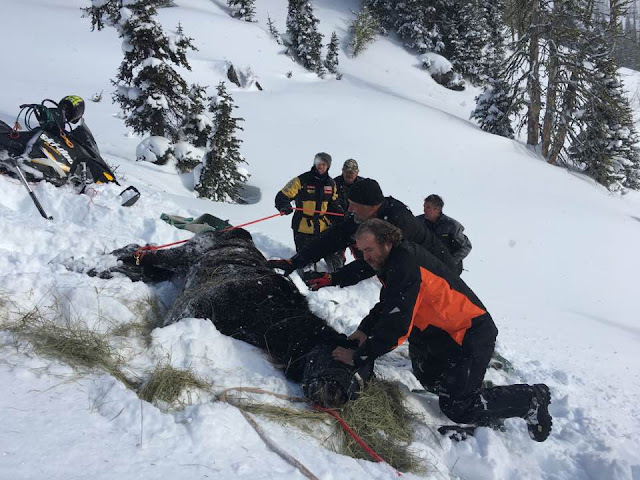 Responses to "Epic Rescue of a Horse Trapped on a Mountain at 7,600 Feet!"